The All Souls Cathedral is located in Biltmore Village in Asheville, North Carolina and was completed in 1896. This building was designed by Richard Morris Hunt. 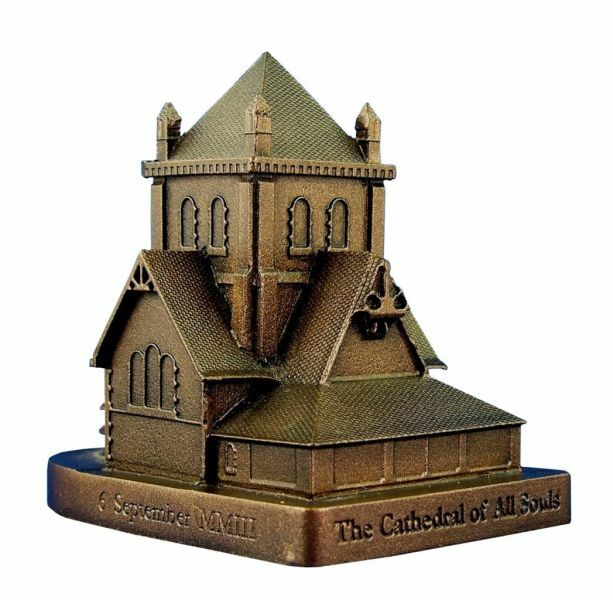 This pewter replica stands 3-5/8 inches tall and is finished in medium antique bronze.